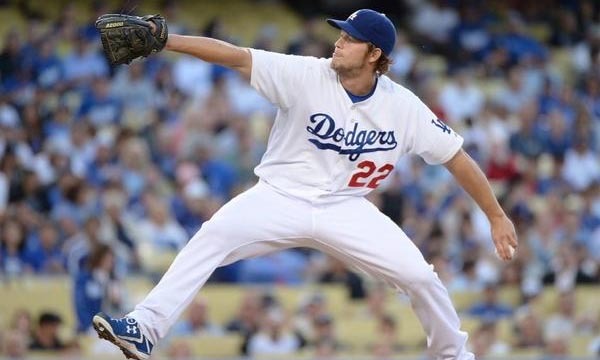 Track and field is a sport in which the participants are required to have skills in running, jumping and throwing. There are several kinds of events in track and field, such as sprints, middle and long distance events, hurdling, jumping events of various kinds, throwing events, etc. There are combined events, as well. Track runners are among major contributors to the overall medals won by a nation in every sporting season or major tournament like the Olympics. Just like in all other sports, in track racing, too, women take a major position. Female track runners are among the greatest sports stars in the world, as they display excellent speed and focus on the rack. Here is a list of Top 10 Female Track Runners in the World. Let’s take a look at their achievements and contributions to their nations. Former legendary American track and field athlete Florence Delorez Griffith Joyner, nicknamed “Flo-Jo”, was there with us from her birth on December 21, 1959, till she died in her sleep as the result of an epileptic seizure at the age of just 38 on September 21, 1998. Even after her tragic death, she still holds the world records she set in both the 100 meter and 200 meter events in 1988, and is considered by many as the fastest woman of all time. Flo-Jo won the 100 meter event at the 1985 IAAF Grand Prix Final within 11.00 seconds timing. She holds the unbroken world record of fastest wind-legal time of 10.61 seconds in 100 meter event. While being the favorite at the 1988 Summer Olympics, she covered the 100 meter event within wind-assisted 10.54 seconds. Flo-Jo won the James E. Sullivan Award in 1988. Former legendary track and field athlete and Olympic champion Wilma Glodean Rudolph was there with us from her birth on June 23, 1940, till she died on November 12, 1994. 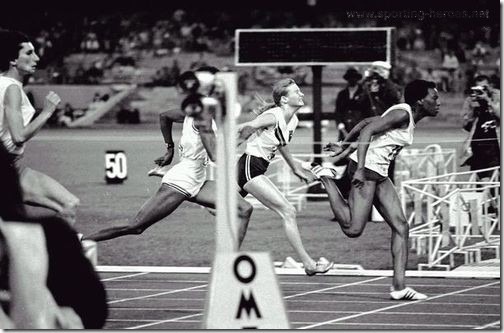 She participated in 1956 and 1960 Olympic Games and is widely regarded as the fastest woman in the world in the 1960s. 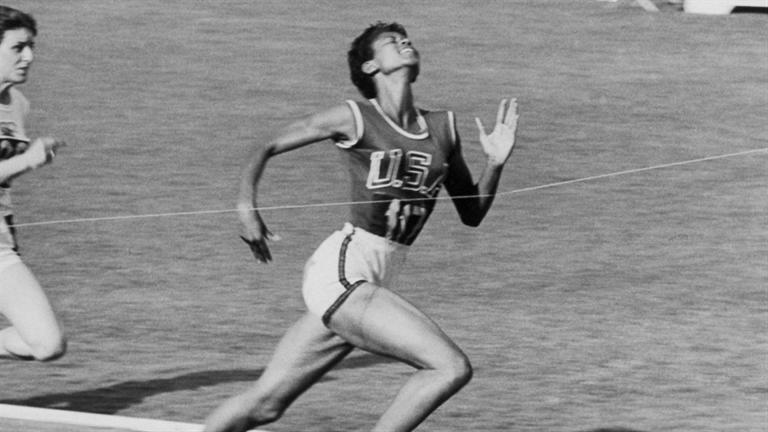 She was described as “The Tornado, the fastest woman on earth” during the 1960 Rome Olympics. Rudolph was nicknamed as “La Gazzella Nera”, meaning “The Black Gazelle” by Italians, and was named “La Perle Noire”, which stands for “The Black Pearl”, by the French. She was named Associated Press Woman Athlete of the Year twice consecutively in 1960 and 61. She received the United Press Athlete of the Year award in 1960 and won the James E. Sullivan Award in 1961. Rudolph was inducted in the U.S. Olympic Hall of Fame in 1983 and in National Women’s Hall of Fame in 1994. Retired Polish sprinter Irena Szewińska was one of the world’s most renowned athletes for nearly two decades. She won seven medals consisting of three gold medals in five Olympic Games she participated between 1964 and 1980. She broke six world records during her career and is the only athlete to hold the world record in the 100 meter, 200 meter and 400 meter events. Szewinska set 38 records in 100-400 meter sprints and long jump, and has won 26 national titles between 1965 and 1979. She also achieved 10 medals in European Championships. She became the first female athlete to break the 50-second barrier in the 400 meter event in 1974, and also set a new world record in the 200 meters within 22.21 seconds. Szewinska is the head of the Polish Federation of Athletics since 2004. She was inducted in the International Jewish Sports Hall of Fame and the IAAF Hall of Fame. Retired Jamaican-born Slovene track athlete Merlene Joyce Ottey began her career representing Jamaica but later represented Slovenia since 2002. She was nicknamed the “Queen of the Track” for her career achievements and was also nicknamed for earning bronze medals in major championships as the “Bronze Queen”. Ottey is ranked third on the all-time list over 200 meters, fourth on the all-time list over 60 meters and sixth in the all-time list over 100 meters which stands till 1993. She participated in the Slovene 4×100 relay at the age of 52 years at the 2012 European Athletics which made her have the longest career as a top level international sprinter. She holds the record for most Olympic appearances with her 7 participation. Ottey also holds the record for winning fourteen World Championships medals. Former Australian sprinter Catherine Astrid Salome “Cathy” Freeman was specialized in the 400 meters event. She covered 400 meter event within just 48.63 seconds which made her the sixth fastest woman of all time which she did at the 1996 Olympics. She lit the Olympic Flame and became the Olympic champion for women’s 400 meters at the 2000 Summer Olympics. 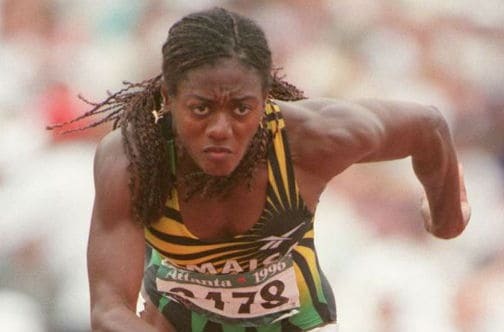 Freeman won her first Commonwealth Games gold medal in 1990 at the age of 16. She won gold medals in both the 200 meter and 400 meter events at the 1994 Commonwealth Games in Canada. Freeman won the 1997 World Championships and won the silver medal in the 1996 Olympics both in the 400 meter event. She won the 400 meter event at the 1999 World Championships. 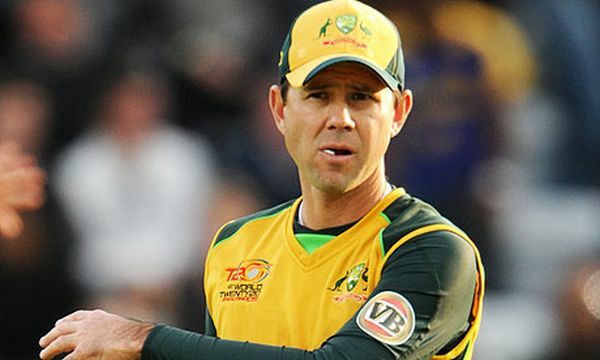 Freeman established the Cathy Freeman Foundation in 2007. Amazing American sprinter Carmelita Jeter specializes in the 100 meters event. She was a three-time Olympic medalist and also the IAAF World Champion in the 100 meter event. She achieved the bronze medal in the 100 meter event at the 2007 World Championships and won the gold medal at the World Athletics Final. Jeter won her championship medal in the Shanghai Golden Grand Prix in the event of 100 meter event within just 10.64 seconds and became the second fastest woman ever behind Florence Griffith-Joyner in the 100 meter event. She currently holds three of the top ten times ever in the 100 meter event. Jeter won the Women’s 100 meter event with a record timing of 10.90 seconds at the 2011 IAAF World Championship. She won the 100 meter event within a time of 10.67 seconds in Thessaloniki, Greece. Former German sprint track and field athlete Marita Koch also known as Marita Koch Meier after her marriage was collected a remarkable sixteen world records in outdoor sprints during her active athletic career. She also holds 14 world records in indoor events. She holds the record of the 400 meters which she covered within 47.60 seconds in October 6, 1985. Koch set her first world record in Milan after covering 400 meter indoors event within 51.8 seconds in 1977. The very next year she broke her own world record within 49.19 seconds in the 400 meter outdoor event. 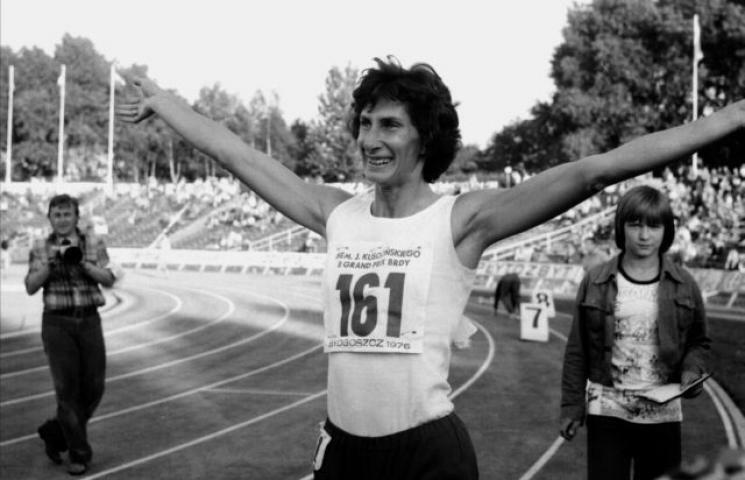 Marita Koch became the first woman to cover the 200 meters within less than 22 seconds which she did in 1979. 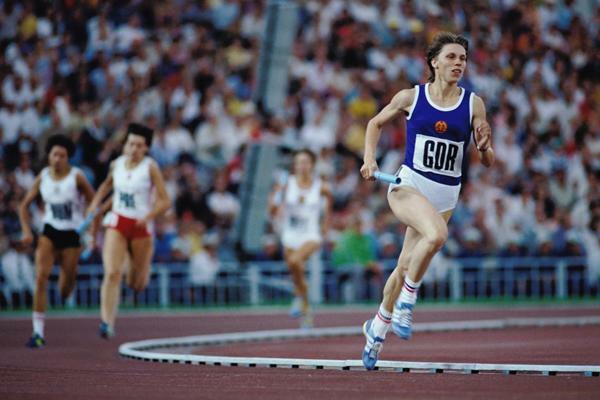 She won the 400 meter event at the European Championships three times in 1978, 1982 and 1986. She still remains the European record holder in 200 meter events. 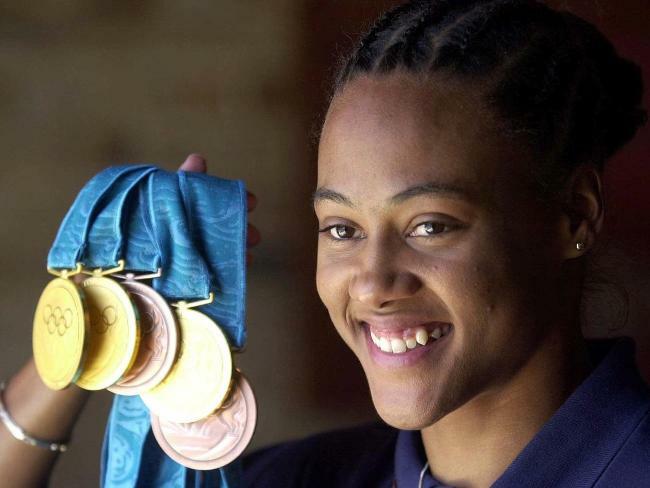 Former world champion track and field athlete Marion Lois Jones also known as Marion Jones-Thompson is also known as a former professional basketball player in the WNBA for Tulsa Shock. She achieved three gold medals at the 2000 Sydney Summer Olympics. 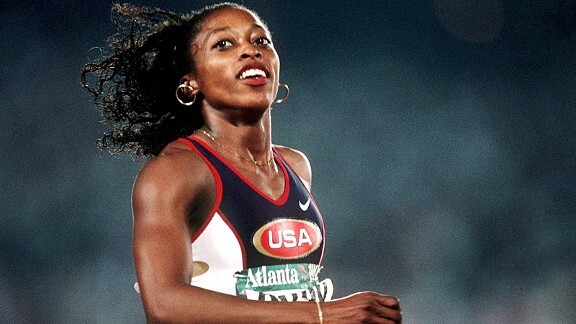 Jones won her first major international competition in the 100 meter sprint at the 1997 Athens World Championships. She won three gold medals in 100 meter, 200 meter and 4×400 relay events at the 2000 Sydney Summer Olympics and also achieved two bronze medals. 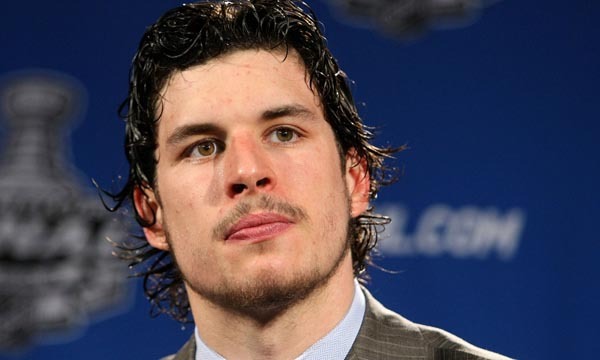 Jones is one of the most famous athletes to be linked to the BALCO scandal and later stripped of these medals when she admitted that she had used performance-enhancing drugs. Jones won the 100 meter event within a time of 10.93 seconds at Gaz de France on July 8, 2006. Retired American track and field athlete Wyomia Tyus is the first person to retain the Olympic title in the 100 meter event. She participated in the in the 1964 Summer Olympics at the age of just 19 and equaled Wilma Rudolph’s world record in the heats. She also achieved a silver medal in the 4 x 100 meter relay event at the same Olympics. Tyus achieved the gold medal at the Pan-American Games in the 200 meter event. She won the title again in the 100 meter event with a new world record of 11.08 seconds in 1968 Olympic Games and became the first woman to retain the Olympic title in the 100 meter event. Tyus won eight of eighteen events in the Professional International Track Association competitions in 1973 and won every event she entered the same competition in the following year. Retired American track and field athlete Yolanda Gail Devers is a three-time Olympic champion for the US Olympic Team. She won the silver medal in the 100 meter event at the 1991 World Championships. 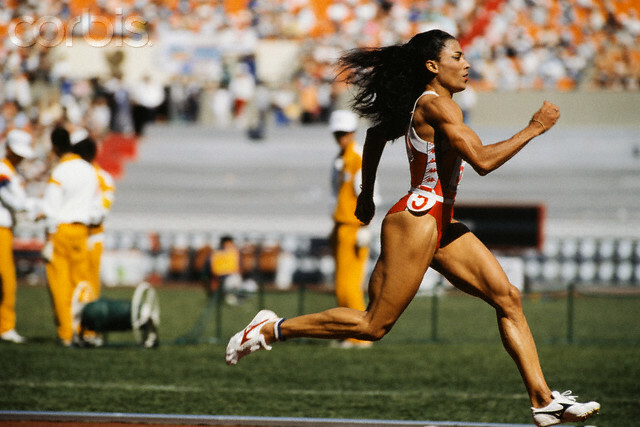 She won the title of the 100 meter event and 100 meter hurdles at the 1993 World Championship. Devers successfully defended her 100 meter hurdles title in 1995 World Championship. She won the 100 meter final at the 1996 Summer Olympics and became the first woman since Wyomia Tyus to retain the Olympic 100 meter title. Devers later concentrated on the hurdles event and won the World Championship again in 1999. She was inducted in the National Track and Field Hall of Fame in 2011, and inducted in the United States Olympic Hall of Fame the following year. Devers received the NCAA Silver Anniversary Award in 2013. The female track runners are all extremely fit and powerful physically, and have the right amount of grit necessary to create records on the track. These women train diligently, devoting several hours to increasing their speed and tenacity, as well as exercising for greater physical fitness. Sports fans are hopeful that more and more women will enter this sport and carry the torch forward.